Metabolic Design - MD BackeCBD, Ketones, Hemp Oil, and More! M.D. 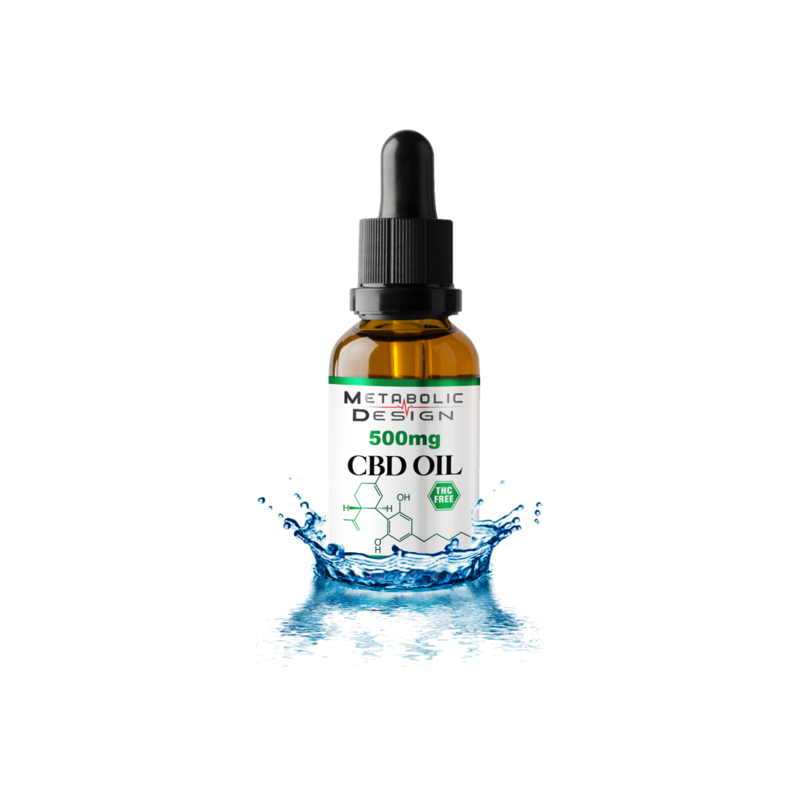 THC-Free CBD 500mg: Our potent THC-Free full spectrum oil is sourced only from the finest American farms and delivers our powerful proprietary CBD in pharmaceutical grade MCT oil. Ultra refined and measuring zero detectable THC, our THC-Free line is specially formulated to supply the full benefits of CBD without THC. Designed for increased bioavailability, our products provide maximum benefit, and our 500mg bottle is the best quality product on the market today. Manufactured in our GMP certified facilities, you get consistency you can count on with our M.D. CBD 500mg. All product orders over $100 qualify for free standard shipping. All product orders under the "Free Standard Shipping" threshold are sharged a $4.95 flat shipping charge. On average you will receive your product(s) with in 7-10 business days from the day you have made your purchase. However, our customers receive their products on average from 3-5 business days. Our policy lasts 15 days on most unopened products. Given the consumable nature of our products, an returned items have to go through significant restesting to assure usability. As such, we reserve the right to charge a 15% restocking fee and re-testing fee at our sole discretion. To be eligible for a return, your item must be unused and in the same condition that you received it. It must also be in the original packaging. To complete your return, we require a receipt or proof of purchase. No refunds on any opened products. Once your return is received and inspected, we will send you an email to notify you that we have received your returned item. We will also notify you of the approval or rejection of your refund. If you are approved, then your refund will be processed, and a credit will automatically be applied to your credit card or original method of payment, within a certain amount of days. Please note, we do not offer refunds on wholesale orders. If you haven’t received a refund yet, first check your bank account again. Then contact your credit card company, it may take some time before your refund is officially posted. Next contact your bank. There is often some processing time before a refund is posted. If you’ve done all of this and you still have not received your refund yet, please contact us at support@metabolicdesign.com.